Ah, Toxic Crusaders. Based on a cartoon series which was in turn based an enjoyably ribald film from Troma Entertainment. But as is usually the case with such licensed titles, they were made into a game by a forgotten company mostly known for making forgettable products. 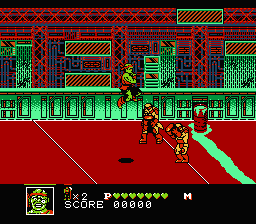 Toxic Crusaders is a beat-em-up featuring little variation in either stage design or enemy types and a rather absurd difficulty level. 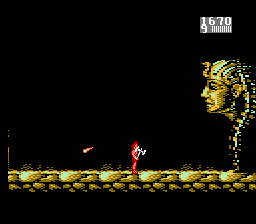 Enemies move quickly and attack cheaply, seemingly to make up for the fact that they can be killed in one hit (with your power hit unintuitively being mapped to the Select button and no slower than your regular punch). Regardless, their annoying speed and movement patterns make hitting them without getting yourself a chore, and make surviving even the first stage an exercise in frustration, let alone the other six following it. But on the plus side, at least the game looks nice and has some surprisingly solid music. I was never much of a Superman fan, and I think a large part of it comes from having played this boring schlock in my formative years. Having it be followed up by other monuments to atrocity like Superman 64 and Superman Returns probably didn't do him any favors either, but that's neither here nor there. 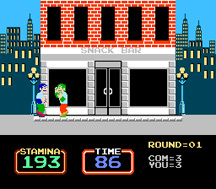 The NES Superman game was crummy in every facet, with lazy combat (get close and mash the punch button! 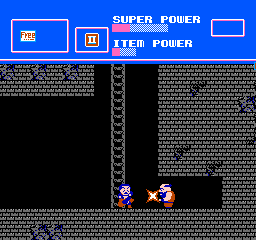 ), a confusing map layout and having to collect icons to use any of Superman's powers. 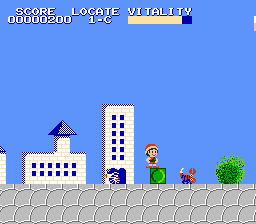 Hell, you can't even fly around on your own; you need to find a power-up icon, and even then you can only take off and land at specified spots in the overworld. The missions in the game are also just dull, consisting almost entirely of going from place to place and punching a building full of generic enemies into submission over and over again. I suppose the open world aspect of its design was pretty innovative for 1988, but when everything else about the game is so unappealing, it really doesn't amount to much. Fun fact: The Famicom version of the game is ever-so-slightly better, if only because it actually contains the iconic John Williams Superman theme (omitted from the US release due to copyright issues, only to be replaced with music from the Famicom RPG "Light of the Indras"). 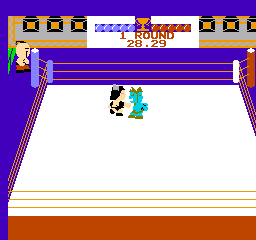 Just another bad wrestling game for the NES, only noteworthy for the fact that it was among the earliest examples of one. M.U.S.C.L.E. was based on the Kinnikuman franchise in Japan, which spun off into a line of tiny plastic figures in North America. 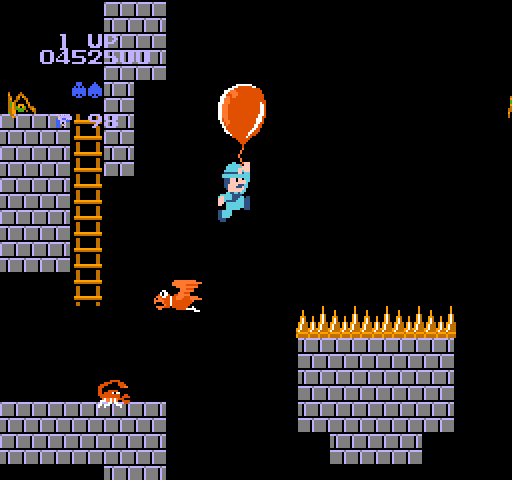 That's clearly reflected in the game's sprites, which are tiny, featureless little men with minimal and stiff animation. Move variety is virtually nonexistant, and the only thing that stops every match from being a mindless slap-fight is the occasional power-up ball that grants whoever grabs it the ability to unleash a more powerful attack that quickly whittles down the opponent's health bar. In short, the whole game just boils down to stalling for time until you can grab said orb and effortlessly curb-stomp your opponent in a matter of seconds. No skill, no strategy, none of the athleticism or spectacle of professional wrestling. M.U.S.C.L.E. is a bomb. Like Thrilla's Surfari elsewhere on this list, Skate or Die represents a sports title taking an ill-advised leap into the action-adventure genre. In this case, it has your character venturing through stages (some maze-like in layout... ugh) collecting items, fighting bosses and buying occasional power-ups for your board. It's not as fun as it sounds, largely due to clunky controls and unappealing level layouts that get repetitive very quickly. The first Skate or Die title was no masterpiece, but at least provided a bit of fun with its numerous events and pick-up-and-play oriented style. This lousy campaign mode is just a waste. 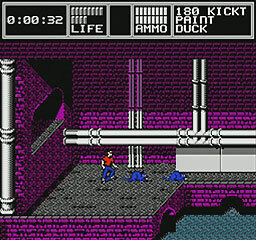 One of many NES games published by Mindscape, a company with a penchant for porting existing games and rebranding them to try and turn a profit from unsuspecting fans. Mad Max was a rebranded version of Road Raider, Last Starfighter was a repackaged Uridium, and Conan is in reality a lackluster port of a well-regarded title called "Myth: History in the Making." So if you were staring at that screenshot this whole time and wondering what ancient Egypt had to do with Conan the Barbarian, now you know: Absolutely nothing. I wouldn't even mind the blatant recycling if Conan were remotely enjoyable, but that is definitely not the case here. Undetailed visuals with heavy pixelation (ported straight from the C64 version of Myth with no improvements), lousy hit detection, the worst kind of guesswork puzzles and some truly poor decisions in the control department (pressing down on the D-pad to jump and A+Down to duck? Really guys?) make it an unpleasant experience on every front. Utterly shameful. There's no kinder way to put it: Super Pitfall is the death of a classic franchise. Pitfall was a hit on the Atari and its sequel was quite possibly the most impressive title on the platform, but when it came time to create an NES sequel, the ball was dropped hard. Now the game is all about obtuse item-hunting whilst dealing with some truly lousy level design that seems to deliberately be designed to be as frustrating as possible - screens full of nothing but pits, difficult jumps and instant kill hazards around every corner. Not to mention a plethora of graphical glitches and bad hit detection making the game even less of a pleasant experience. Cap that off with ugly graphics, choppy animation and being haunted by one constantly looping music for 90% of the game's running time, and Super Pitfall amounts more to torture than a gaming experience. The fact that a game with such a golden legacy could end up being this crummy only makes it all the more depressing. Fun Fact: Atlantis no Nazo (a Sunsoft-produced adventure infamous for its extreme difficulty and awkward controls) was planned to be localized under the title "Super Pitfall II." However, that plan fell through because this game was so poorly received.